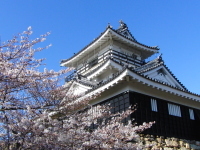 The Robotics and Mechatronics Conference 2012 (ROBOMEC 2012) will be held in Hamamatsu, Japan on May 27-29, 2012. The ROBOMEC conferences have been held annually since 1988 and are now among the biggest conferences on robotics and mechatronics in Japan. Original papers are solicited in all related areas of robotics and mechatronics and all presentations will be organized into poster sessions. We are looking forward to seeing you in Hamamatsu. Thank you. Registration fee includes one paper presentation, proceedings and a DVD-ROM. "Members" includes the members of technical co-sponsors. Registration fee includes one paper presentation. Presenting multiple papers costs additional paper fee. Conference Website is now online. Presentation Registration is now online. Paper application deadline is extended. Session program and instructions for poster presentation are now available. Copyright(C) JSME Robotics & Mechatronics Division,　Copyright(C) Business HTML Template no.001.